2018 Note: Representative DeLauro entered statements into the Congressional Record noting how she would have voted on roll call votes 101, 178 and 179, which would have been scored as pro-environment. 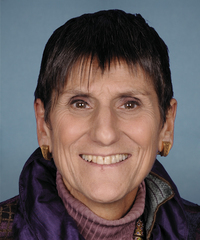 2017 Note: Representative DeLauro entered statements into the Congressional Record noting how she would have voted on roll call votes 488, 489, 491, 492, 497, and 528, which would have been scored as pro-environment. 2016 Note: Representative DeLauro entered a statement into the Congressional Record noting how she would have voted on roll call vote 12, which would have been scored as pro-environment.